The Supreme Court today ruled that police officers need a warrant to search the data on your cell phone, even if you are lawfully under arrest. The ruling in Riley v. California, a surprising 9-0 decision, while a bit out of character for this Court, is a welcome reaffirmation of our basic privacy rights under the Fourth Amendment. The underlying facts in Riley do not paint a sympathetic picture. Riley was initially stopped by police for driving with expired registration tags. The officers then determined that his license was suspended, leading to his arrest and an inventory search of the car. That search turned up two illegal handguns. A subsequent search of Riley uncovered evidence that he was a member of the Bloods street gang. A detective looked through Riley's smart phone and found, among other things, photographs of him by a car that the police knew had been used in the course of a recent shooting. In other words, Riley was a bad apple. Riley was charged with that shooting. His motion to suppress the evidence that flowed from the search of his phone was denied by the trial court and affirmed on appeal. The Supreme Court reversed. 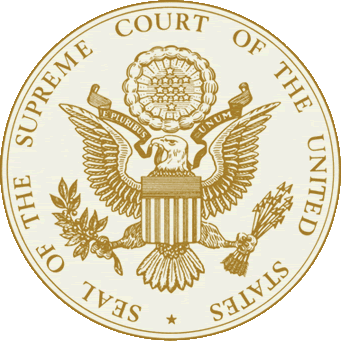 Amy Howe on ScotusBlog offers a thorough but straightforward explanation of the decision here. In short, the Court reasoned that the primary purpose of searches incident to arrest was to protect the officers and to preserve evidence. For this reason, it would make sense that officers could, for instance, examine a smart phone's case to make sure a razor blade isn't hidden inside. At the same time, however, it was obvious that the data on the phone did not itself pose any sort of threat to the officers, and so there was no possible safety-related reason for the search. As for preserving evidence, if the person is arrested, the officers have ample opportunity to demonstrate probable cause to a magistrate and get a warrant. Modern cell phones are not just another technological convenience. With all they contain and all they may reveal, they hold for many Americans 'the privacies of life.' The fact that technology now allows an individual to carry such information in his hand does not make the information any less worthy of the protection for which the Founders fought. Our answer to the question of what police must do before searching a cell phone seized incident to an arrest is accordingly simply -- get a warrant. Perhaps, as Howe surmises, this group of Justices are sufficiently up to speed technologically that they each carry smart phones, and have family and friends that equally rely on them. Thus, maybe they can envision the intrusiveness officers rummaging through people's emails, texts, photos, and the like, everytime they make an arrest, even for something as benign as a moving violation. Or maybe, there's simply some measure of respect for what's left of our Fourth Amendment. Either way, the decision is most welcome. The decision in full follows below. Nice post sharing with us i really like this post.